Companies that filter and monitor Web traffic by user name do so in order to enforce their Acceptable Use Policy and for reporting purposes. In order to obtain user names for filtering and reporting purposes, they enable the authentication of all Web requests. An issue that arises with authentication is that there are some Web apps that do not respond to authentication requests. This is the case with Windows 8 apps. In order for the Windows 8 operating system to download apps through CyBlock Software or CyBlock Appliance, entries need to be made in the Authentication Manager. This work-around puts these apps in an authentication “Bypass” list where they are exempt from authentication. CyBlock will not require authentication for any URL/User-Agent combination established in the Bypass list. Any user name cached for this connection will be used. If none is cached, the activity will be logged with the user name of “bypass.” The steps below should be followed. Go to the Advanced Settings – Proxy Settings screen, and click the Authentication Managerlink. Under Display Selection, select Bypassed or All to display the Bypassed entries. Note that the All option will display the Pending Bypass entries also. Under Bypassed, click the Add new bypass entry link. A dialog box is displayed. Enter each of the following combinations of URL or Domain and User-Agent, and click Add after each entry. The entries on the screen should look like the following example. We want to end this year by wishing you all a Merry Christmas and Happy New Year! We hope you have a wonderful holiday! In addition, we want to remind you of Wavecrest’s holiday hours. Wavecrest Computing offices are closed from December 25, 2010 – January 2, 2011. Our offices will re-open on Monday, January 3, 2011 at 8am. Should you need support or customer service during this time, limited email support will be available. You may contact either Sales at sales@wavecrest.net or Support at support@wavecrest.net, and they will get back to you as soon as possible. 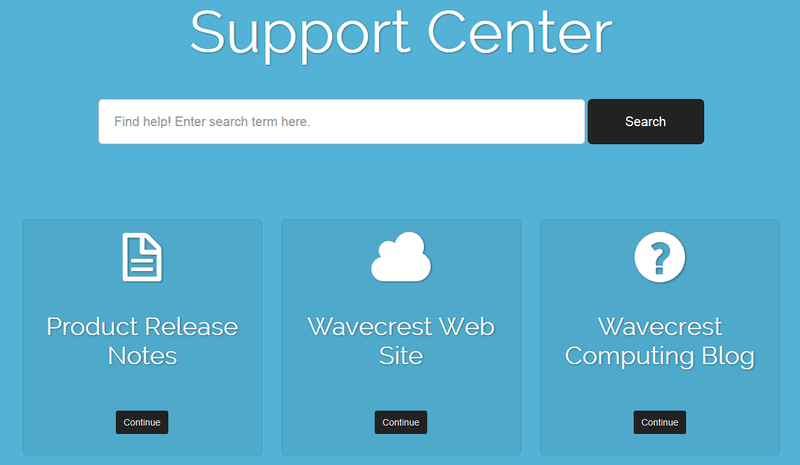 You may also visit the Wavecrest Support Forum and post your questions there.